Actor Shahid Kapoor is a bike aficionado and he has just got himself yet another mean machine. 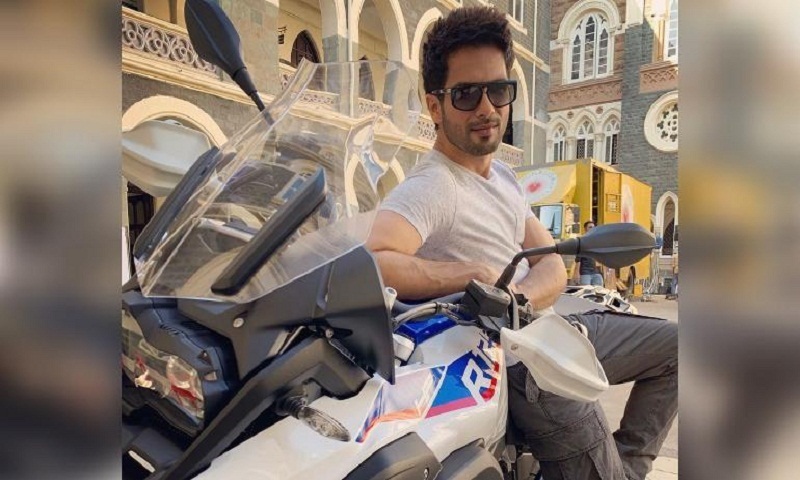 According to reports, Shahid recently got himself a BMW R1250 GS Adventure, a top of the line bike that costs Rs 18.25 lakh approximately. The actor shared a photo on Instagram also, calling himself “a bike lover gone mad”. The actor is known for his love for super bikes. Shahid also owns a Ducati Scrambler 1200 and is often spotted driving around Mumbai on it. The bike costs around Rs 11.12 lakh in India. The actor will be seen in the remake of the Telugu hit, Arjun Reddy, next. Directed by Sandeep Vanga, who also helmed the original, the film will have Shahid in the lead. “The original was very raw, very honest. I don’t think there was anything in the film that was for effect. I just felt it said things as it is and was a brazen journey of a character who goes through an emotional arc which is extreme,” Shahid told PTI. “The honesty of the film connected with the audience. Otherwise for a film like that, there would be a limited audience. But it was loved across the board. The idea is to do it all over again,” he added. The actor says while they have retained the essence of the film, they have also “rediscovered” the project. “We are trying to make it as honest and as raw as it was. Not trying to change anything for the sake of it. We are rediscovering it. Of course the way we do it, there’ll be some differences.” The film will release June 21, report Hindustan Times.